One Eternal Day: A gigantic hound! The Hound of the Baskervilles, by Arthur Conan Doyle, was the first grown-up book I ever read—and it changed my life. Back in the late 1950s, my fifth-grade class belonged to an elementary school book club. Each month our teacher would pass out a four-page newsletter describing several dozen paperbacks available for purchase. .... Lying on my bed at home, I lingered for hours over these newsprint catalogues, carefully making my final selections. 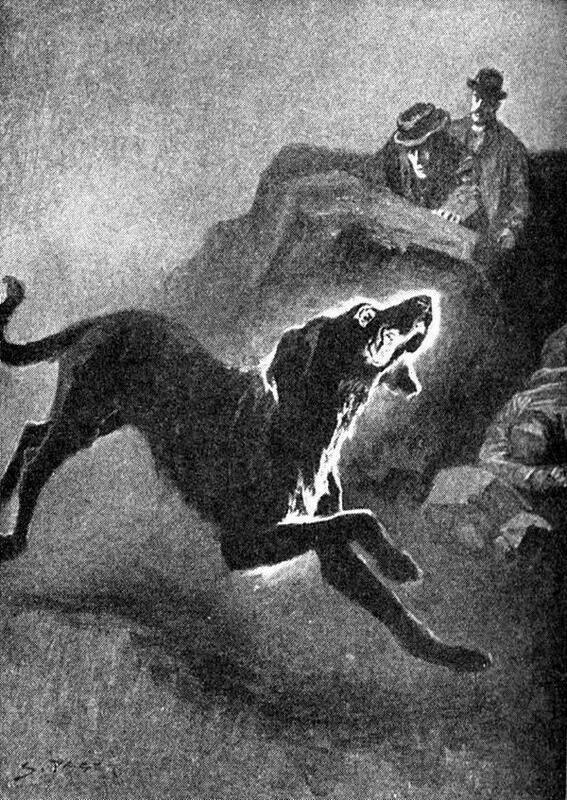 A hound it was, an enormous coal-black hound, but not such a hound as mortal eyes have ever seen. Fire burst from its open mouth, its eyes glowed with a smoldering glare, its muzzle and hackles and dewlap were outlined in flickering flame. Never in the delirious dream of a disordered brain could anything more savage, more appalling, more hellish, be conceived than that dark form and savage face which broke upon us out of the wall of fog.